This page is made available to help facilitate the exchange of information between Owners, Breeders, Sellers, Buyers and other such parties interested in sharing or exchanging information. See our Page Usage Policy for use of the information contained within this page. Please remember that there are show dogs and then pet quality dogs - all of which are very lovable. While Show Dog Synergy can not assist with your exchange agreements; we can assist with financial transactions by offering our credit card, debit card, or echeck processing capabilities as a service. Provide us with a verifiable copy of your Buyer / Seller agreement along with the amount of the financial transaction you would like to have processed; and we can process your credit card, debit card, or echeck through our secure merchant services. Once a buyer's credit card, debit card, or echeck has been processed and confirmed; we will send an email of the completed financial transaction (payment receipt) to both parties, and we will send a standard check in the mail to the seller. 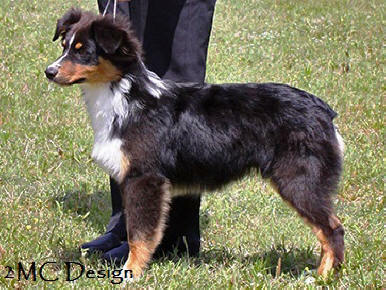 Show Dog Synergy will only charge the parties our merchant services fee / cost for the transaction. Additionally Show Dog Synergy may be able to assist with transporting your dog(s); if the pickup and drop-off locations are near the locations we are showing, or our home location. If you are interested in any of these support services contact us using one of the communication mediums on our Contact Us page. Dog owners - Show Dog Synergy suggest that your dog's pedigree be setup in an applicable on-line management tool like the Pedigree Database. Send us your dog's pedigree information hyperlink and we will connect it with your dog's information. Click on the dog's picture for more information. Name: Dovehawk's Take Me Hard "Zoey"
Name: MBOBP - Dovehawk's Captain Malcolm Reynolds "Malcolm"
Show Dog Synergy does not endorse, recommend, suggest, or promote any particular owner, breeder or dog breed. We have made this page available to help facilitate an exchange of information between interest parties. We do not guarantee, warrant, or ensure the accuracy, completeness or suitability of the information contained with in this page nor do we provide any warranties, expressed or implied as to the correctness, truthfulness, or timeliness of the information contain here within. 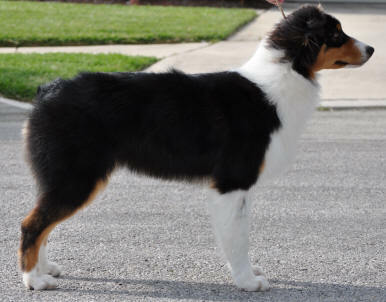 Show Dog Synergy is not liable for incorrect, missing, inaccurate, miss-understandings, or miss-usage of information contain on this page or exchanged between parties that use or have used information that is or has been contained on this page or that has or may have been exchanged or communicated between any parties. All information should be verify by the information user and all usage of such information is at the users risk. By using the information available on this page you acknowledge that such information and materials may contain inaccuracies or errors and expressly exclude Show Dog Synergy from any liability to the fullest extent permitted by law.